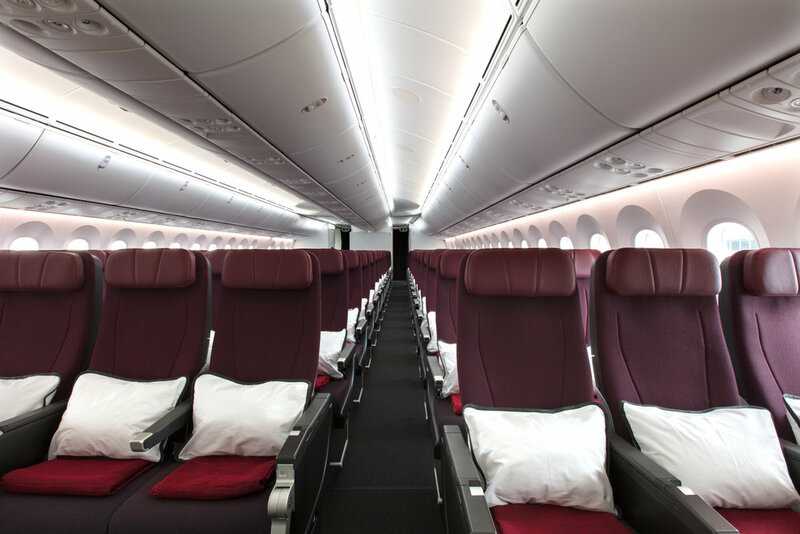 Qantas has unveiled its first Boeing Dreamliner, that will open up new routes and new levels of comfort for travellers. 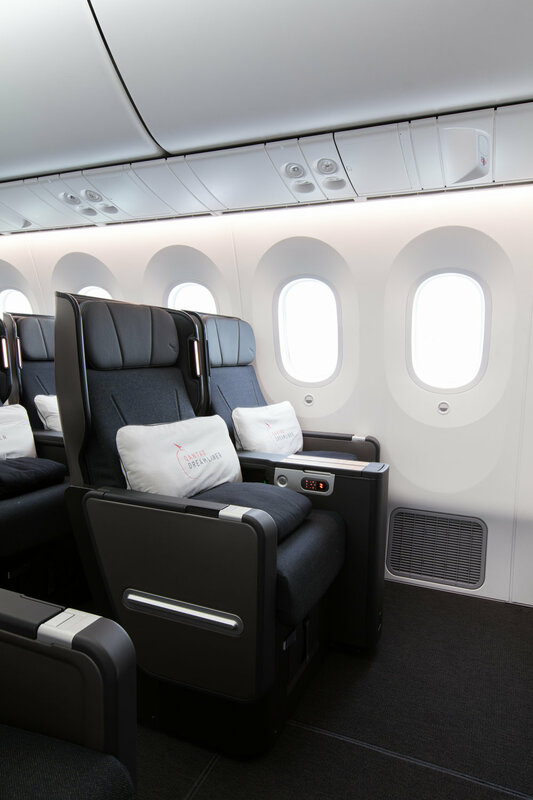 As the latest addition to the Qantas fleet, the 787-9 Dreamliner features next generation seating in Economy, Premium Economy and Business Class, with more space and a lower passenger count than most of its competitors. At a ceremony at the Boeing factory in Seattle, Qantas Group CEO Alan Joyce said the first Dreamliner signaled the start of an exciting new era for the national carrier and for the travelling public. “Taking delivery of a new type of aircraft is always an important milestone for an airline and the 787 is a game-changer. From the distance it’s able to fly, to the attention to detail we’ve put into the cabin design, it will reshape what people come to expect from international travel. New cabin lighting designed to help passengers adjust to new timezones. 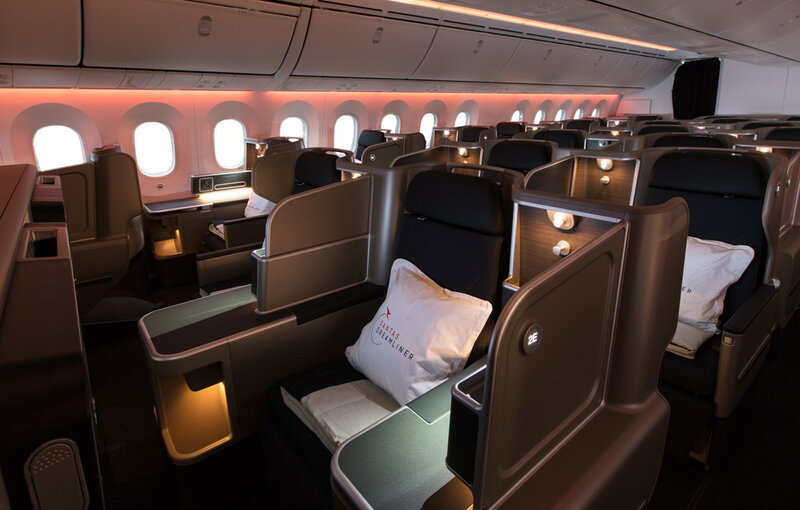 The interiors of the aircraft and seating were shaped by Australian industrial designer David Caon who has collaborated with Qantas on cabin upgrades and its lounges in Singapore and Hong Kong. You can listen to our Design Travel podcast with David below. A total of eight Dreamliners will be delivered to Qantas by the end of 2018, enabling the retirement of five of the airline’s 747s. Two Dreamliner routes have been announced so far – Melbourne to Los Angles starting in December this year and Perth to London starting in March next year. Additional flights from Brisbane have also been flagged. The name Great Southern Land was chosen for the first aircraft out of 45,000 suggestions from the travelling public. Each Dreamliner will be named after something that is uniquely Australian, including animals, places and literature.